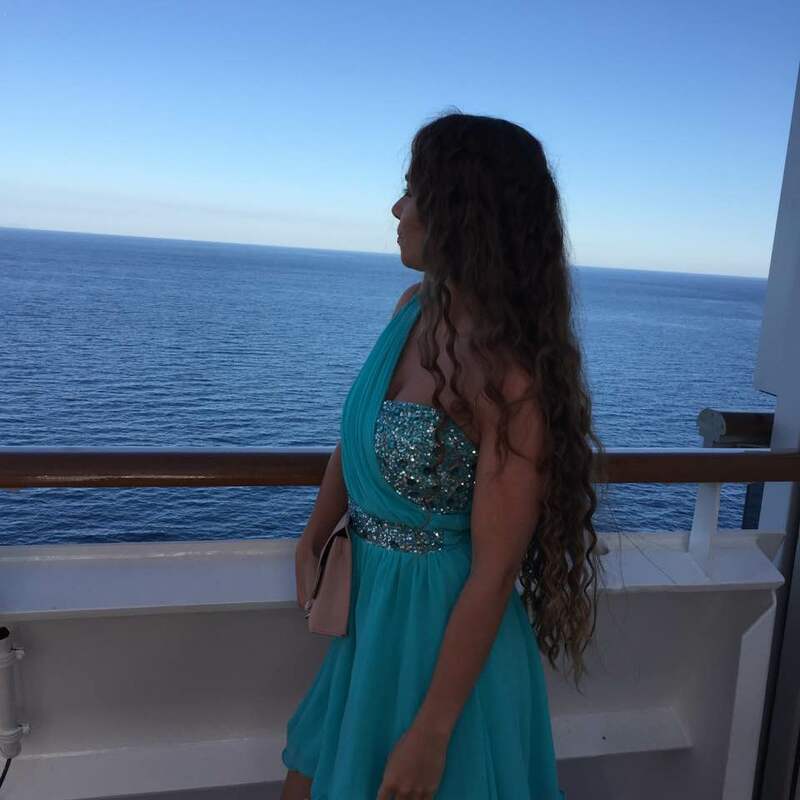 It’s been about a month since I got back from cruise now (where does the time go?!) 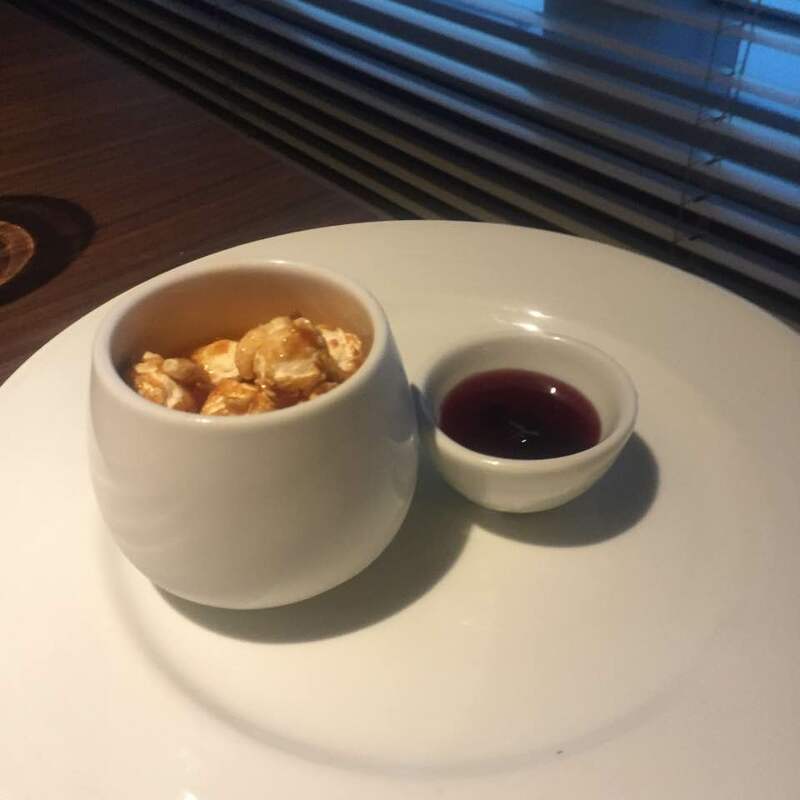 and I’ve only just found the time to sit down and write this post. Where do I start? 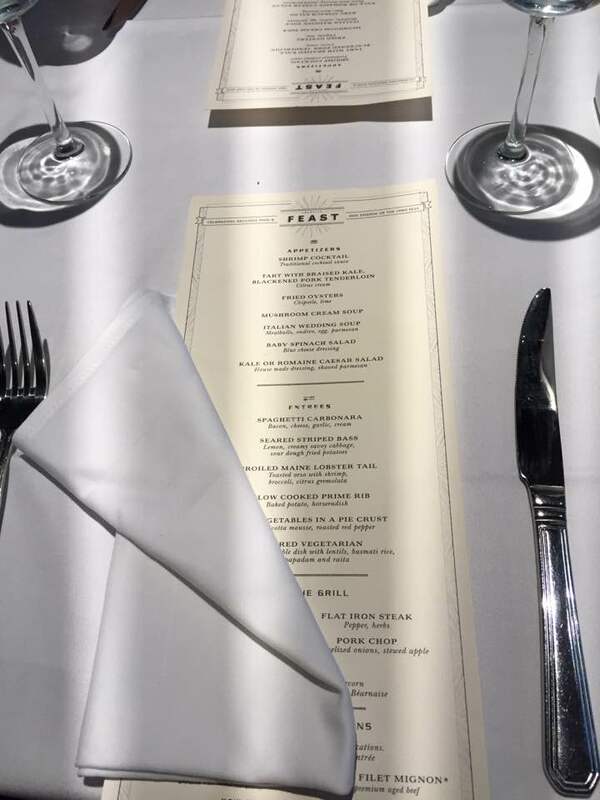 It was my fourth year of cruising, and after sailing with Royal Caribbean, Celebrity Cruises & P&O, it was time to try out Carnival’s brand new ship the Vista. 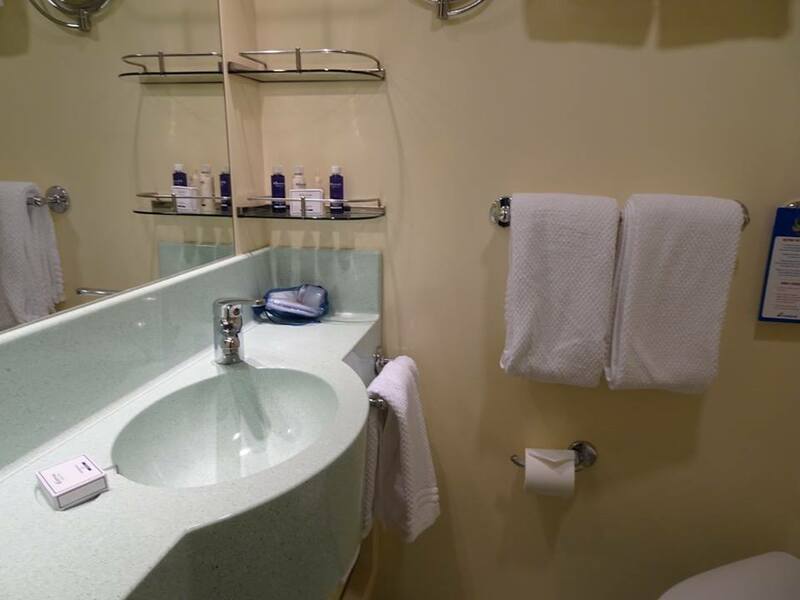 It was so new that the maiden voyage was only in May, one of their biggest cruise liners to join the fleet, the facilities on this ship were nothing short of perfect. Starting in Barcelona, we headed to Sicily (Mesina), Civatavecchia (Rome), Livorno, Naples, Corsica, Mallorca and back round to Barcelona. Not only was the itinerary fab, we only had one day at sea, so there was lots crammed in to this 8 day cruise. A lot of people I speak to are still not sure about the concept of cruises, but if you followed me on Snapchat whilst I was away I think it gave everyone an insight into cruise life that you just can’t see if you’ve not been on one before. 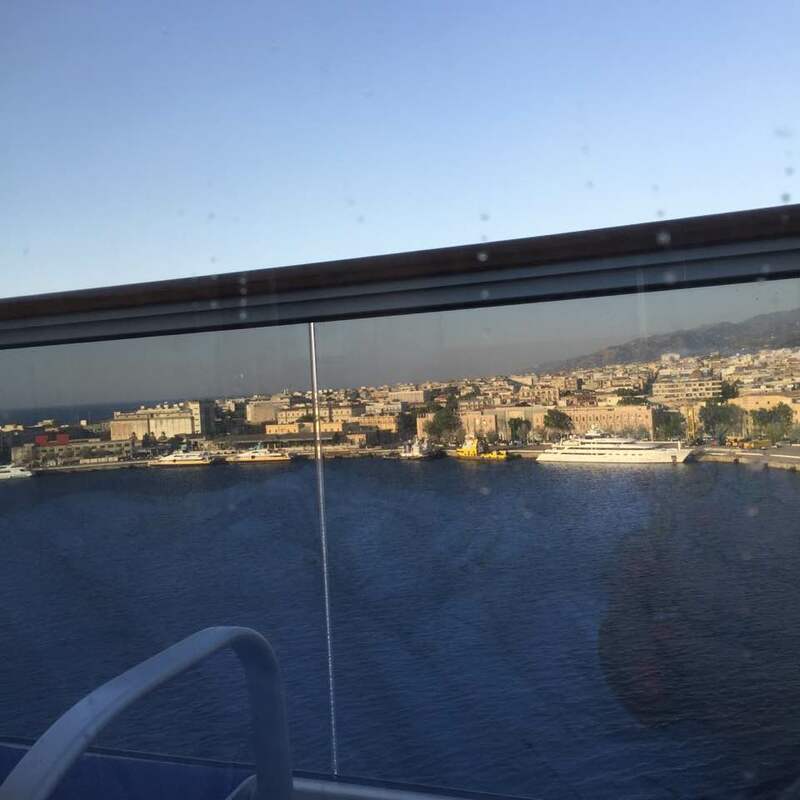 With everything going on in the world at the moment, it’s hard to know where to go on holiday, but I felt 100% safe on the cruise, as I always do, as there’s always vigorous security leaving and entering the port. 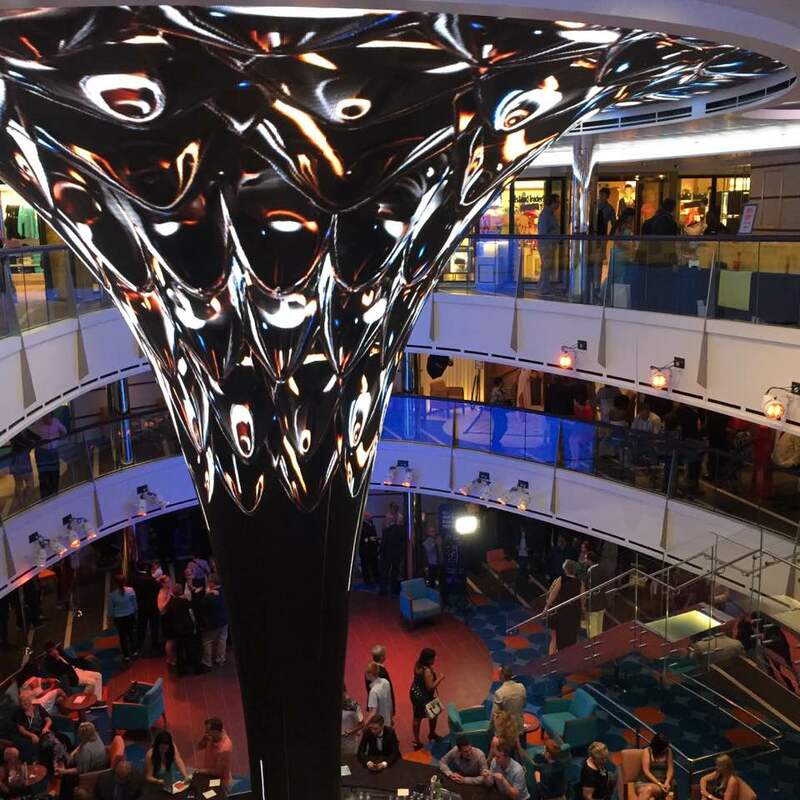 Carnival Vista was definitely one of my top cruises, so here’s a whirlwind tour on-board this gorgeous ship! We were warmly greeted as we arrived to our rooms, this year we opted for a balcony cabin for the first ever time, and I can definitely see what I was missing out on. 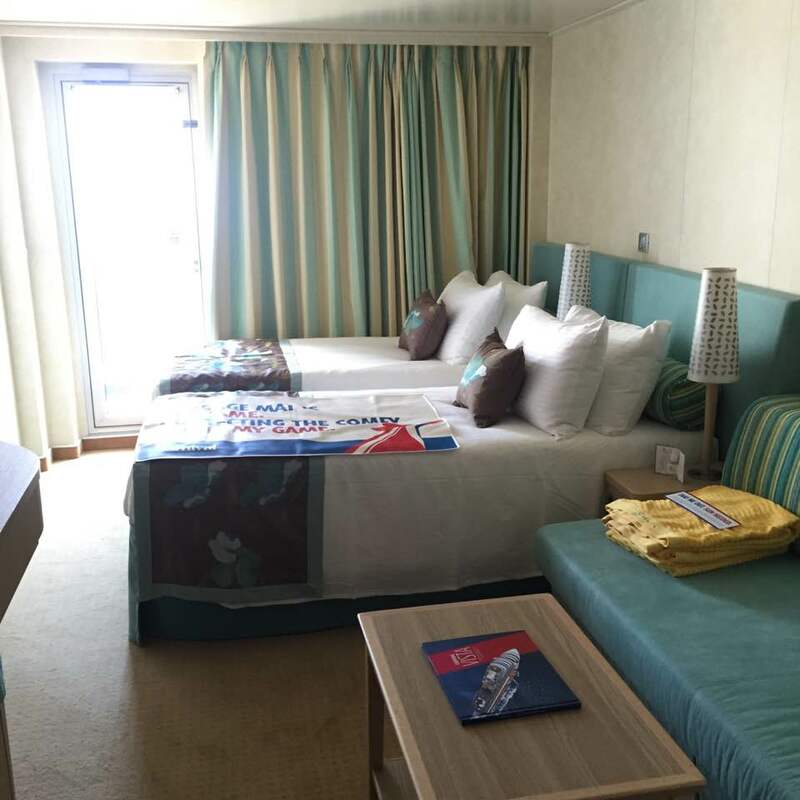 Inside staterooms (without a window) are the cheapest options and you’re usually not in your room much anyway, but I did feel like the balcony made the holiday that extra bit special, it was so magical looking out at the stars in the evening with the sound of the sea passing you by. I’m now a balcony snob and couldn’t imagine having an inside stateroom again! Our room was fairly spacious, and it was probably one of the more generous bathrooms that I have had, but you do have to bare in mind that they aren’t the biggest bathrooms on cruise ships… Because we had a Spa cabin we were left a bathrobe, slippers and a lovely selection of Elemis spa products for our stay, heaven! 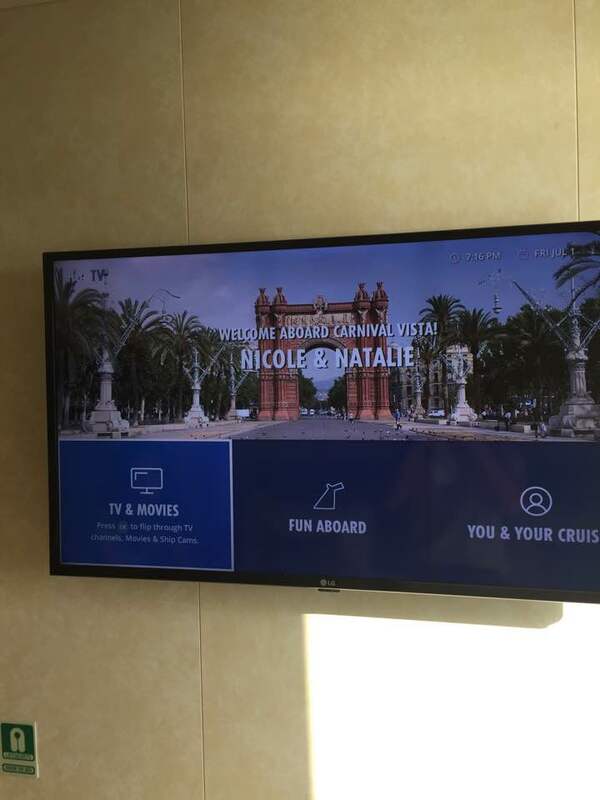 The sail away from Barcelona to our next port was amazing, The cruise director Matt Mitcham made the cruise for me, I’ve never seen someone so energetic and who genuinely loves their job (I mean who wouldn’t when you get to travel to so many different places!). He threw some amazing deck parties throughout the cruise, there’s really nothing cooler than having a loud party at sea with no land or people around you for miles. I wish I got more pictures of the inside of the ship as it really was beautiful, but the reality is when you’re having so much fun on a ship you don’t want to have to be taking pictures all of the time. Even though a picture will last a lifetime, the memories of not having to capture every single moment is much better! This statue coming up from the bar area displayed different colours/images throughout the day that I thought was so cool. The ceiling also had a couple of portholes which were also filled with the same image. If you looked closely on the sea themed image you could spot a sting ray swimming across on the ceiling! 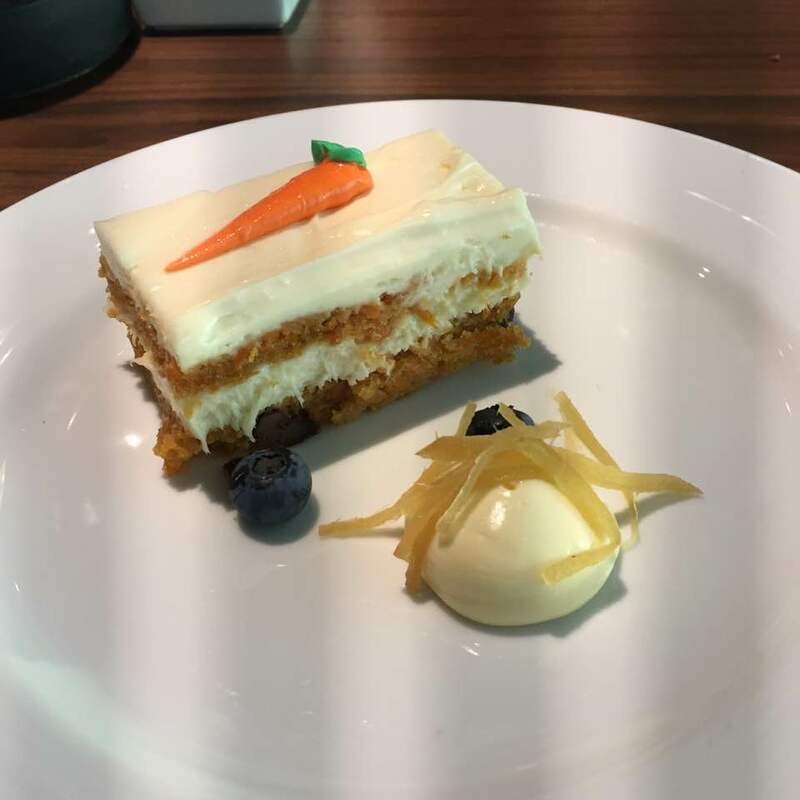 The best carrot cake ever, there were some seriously good pastry chefs on-board! OMG! Guys, have you ever watched Diners, Drives and Dives?! Most of you probably don’t know what the hell I’m talking about, but many an hour of mine was spent watching this mouth watering programme on the Food Network channel at uni. With Carnival being an American cruise line they’re the first ship to get their very own Guys burger joint which is based on Guy Fieri’s programme. Quick, easy and delicious, I am not kidding you that the burgers and chips from this place were insane, I think I had it like 3 days in a row which is something I would never normally do. I had to make the most of it though, right? 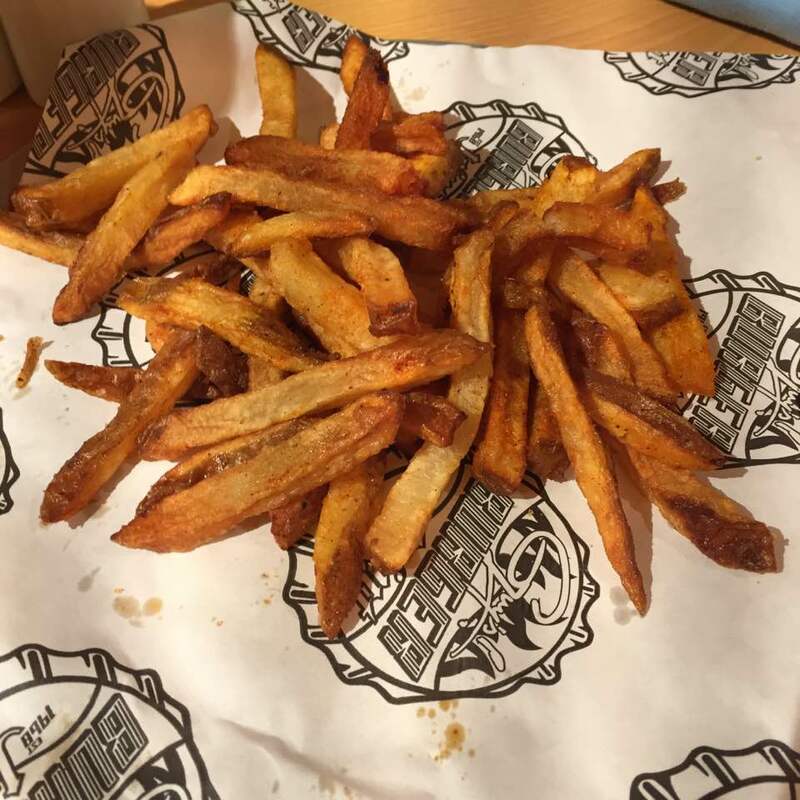 If you’ve ever had TGIS Fries, Guys fries are like 100 x better..
We were lucky enough to be spending Independence Day on the ship which was just incredible. 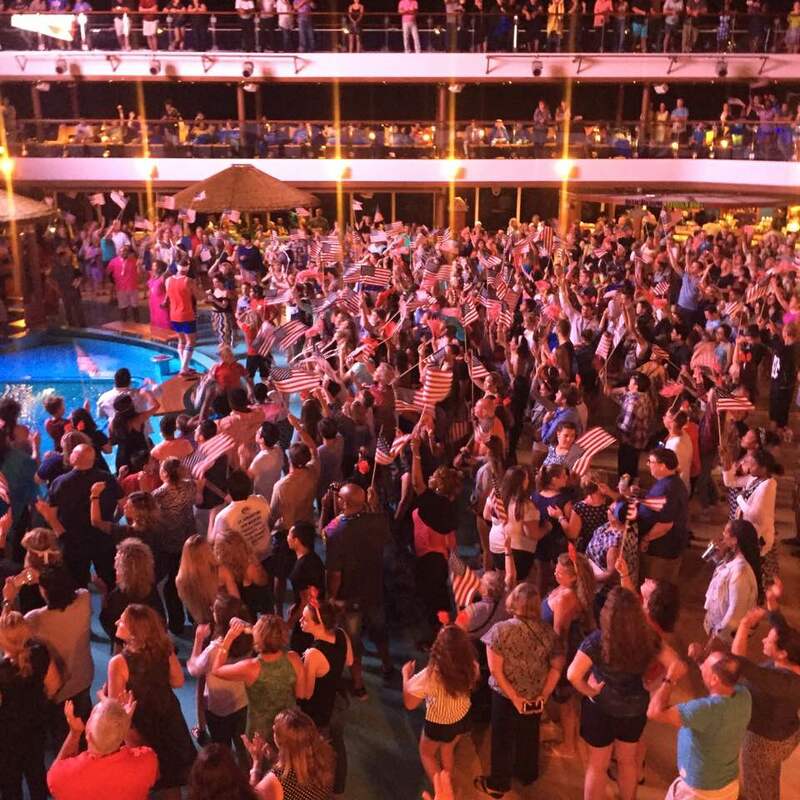 The whole boat got into the celebrations, with decorations around the ship, S’Mores for desserts and a huge deck party in the evening which was undoubtedly one of my favourite nights of the cruise. 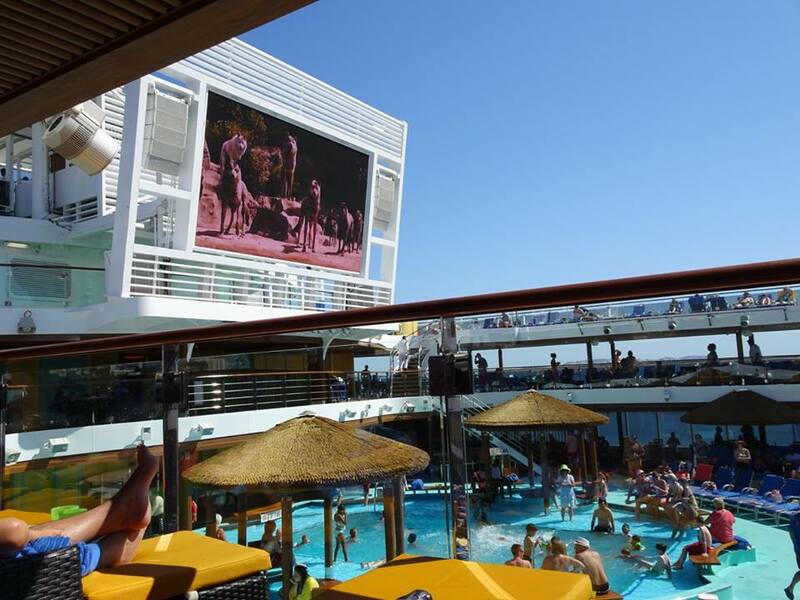 Leading on from deck parties, the entertainment was just as good on the ship, with a different show or theatre production every evening, an IMAX cinema, poolside movies with popcorn, comedy and more, there was never a shortage of fun things happening. Some of my personal entertainment highlights were the hairy chest competition (hilarious), the deck parties, poolside movies and the Love and Marriage show! When friends always ask me about cruises I’m sure they just think that you have a room and you’re confined to it for the whole stay. 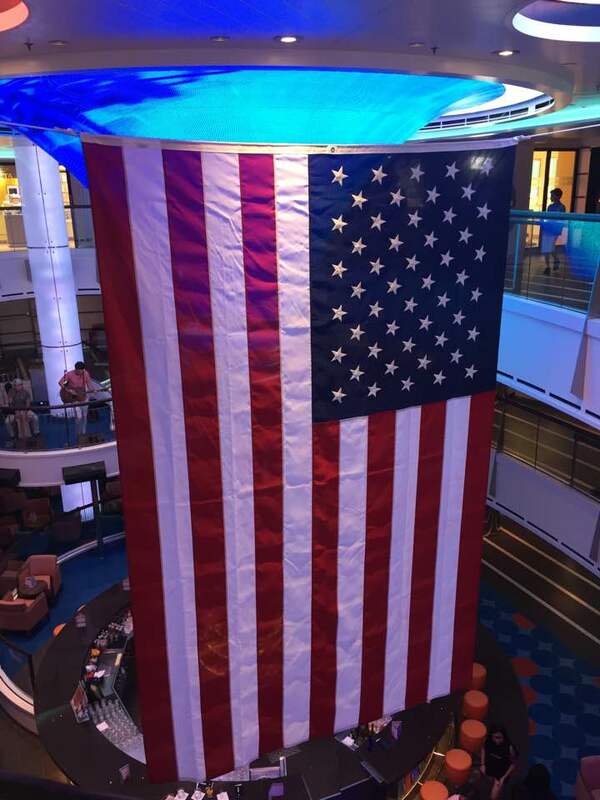 As far as activities and places to go on a cruise are, this year there was plenty! Vista is such a fun ship, and there was things targeted at all ages to enjoy. The on-board water-park was a new one to me, and instantly became my favourite part of the ship. Every time I needed to cool down I just headed to one of the slides, there wasn’t ever really a queue and you got the best views from the top of the slides! Think tree surfing, but on a much smaller scale and you’ve got the clubhouse activities area! Based on the top deck of the ship, as well as rope climbing, twister and a mini gym, (unfortunately I didn’t get a picture of it in action) there were cars that you could pedal around the perimeter of the ship that was called Sky Ride, it was probably one of the coolest things I’ve ever done on a ship, and as you can imagine the view was insane. I wouldn’t recommend looking down though if you’re scared of heights…. 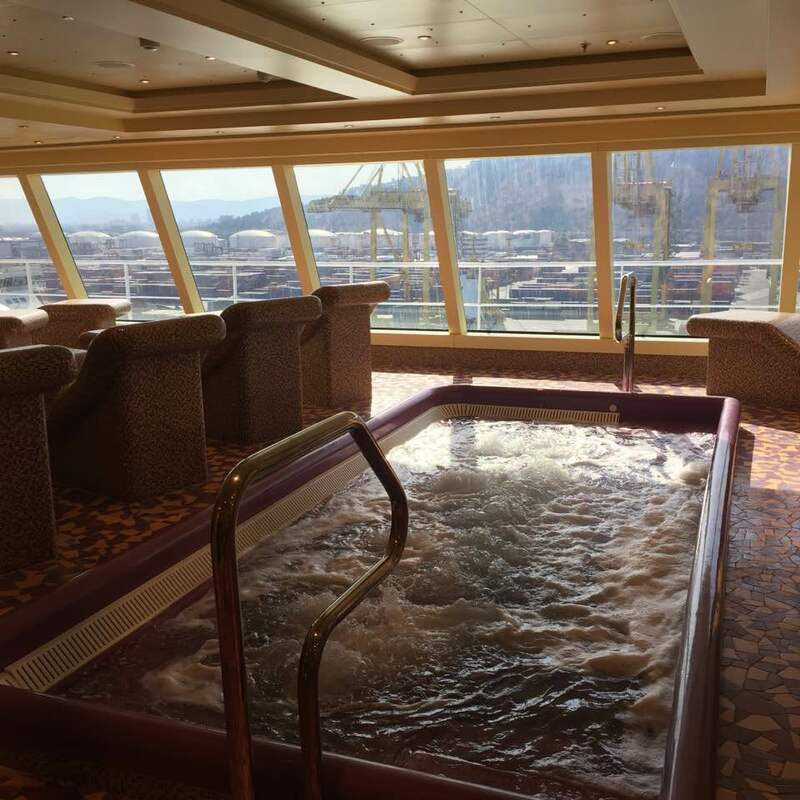 There were 3 main pools on the ship, but we’re not talking Olympic sized pools, they’re plunge pools that are great for cooling off in, but not for having a proper swim or splash about. It’s like this on all cruises though which is the slight downside, but when I’ve spent the last 6 months seriously training in a pool it was nice to ditch it for a week and have some fun on the slides and sunbathing instead! We were lucky enough to have Spa cabins this year which meant we had unlimited access to the indoor spa facilities, watching the world go past from an indoor heated bed or whirl pool is certainly the best form of relaxation. If you have a normal stateroom cabin you can pay for the add on of the spa too, you can also indulge in massages, hair and nail treatments. Oh, and did I mention there was a gym on the cruise too, I think the question here is what didn’t it have?! 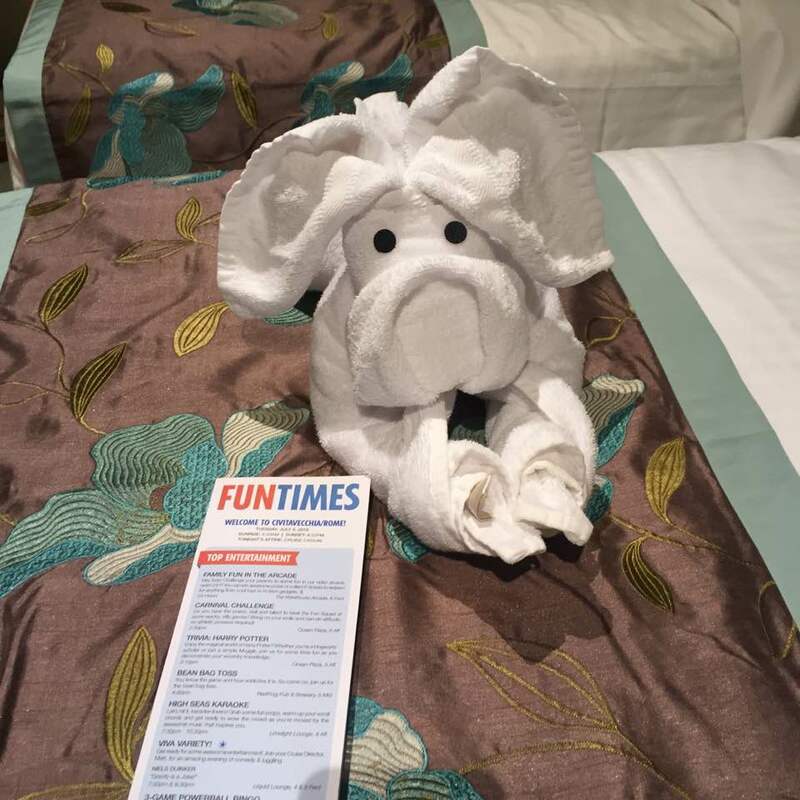 One of the best experiences of the cruise by far was the towel animal invasion. On the second to last morning we woke up to head down to breakfast to see that every single sun bed had been taken over by a cute towel animal. 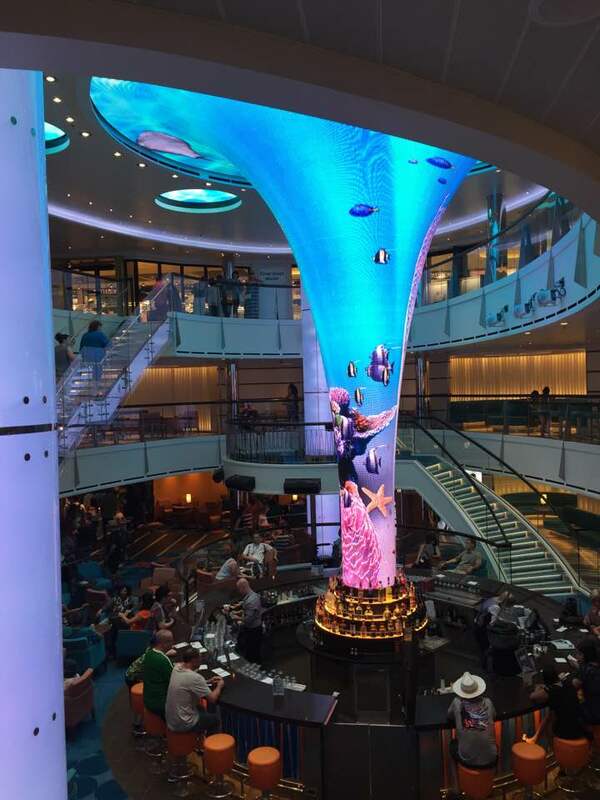 I have literally never seen something so amazing, I had heard that they did this thing on Carnival cruises but never expected it to happen on this cruise. There must have been hundreds of them, and it must have taken ages! The cabin staff that put these together put so much thought into them, there were dogs, hanging monkeys around the pool area and dinosaurs. This little cutie was one of my favs! Another cruise been and gone, but I’m already much anticipating booking the next one. 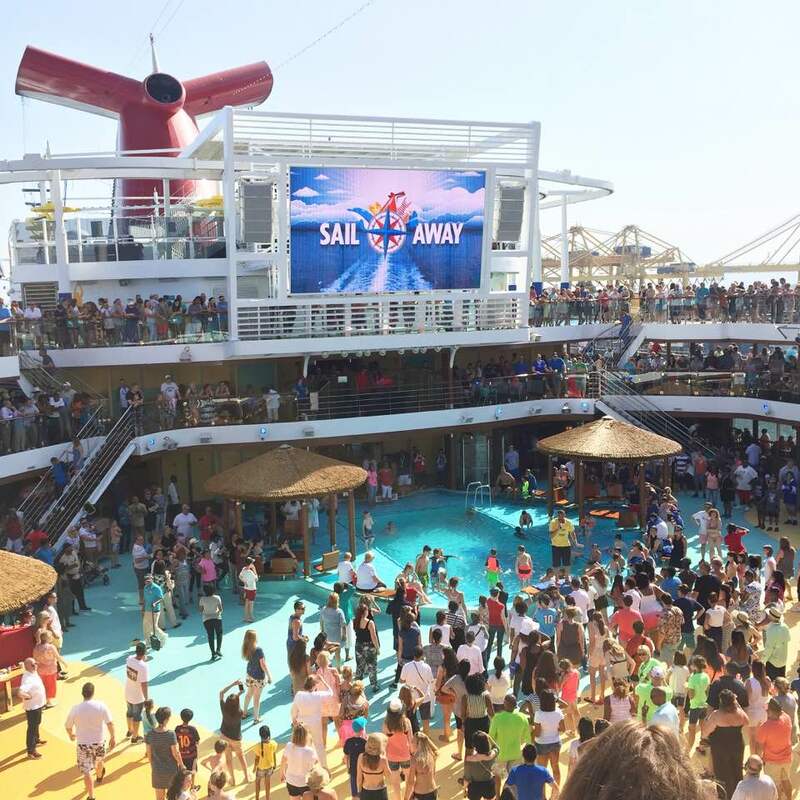 Honestly, when you’ve been on one cruise no holiday will ever compare. Cruises are still a very misunderstood holiday so I’ll stop you now if you think that they’re just for old people, and that being on a cruise ship is confined. 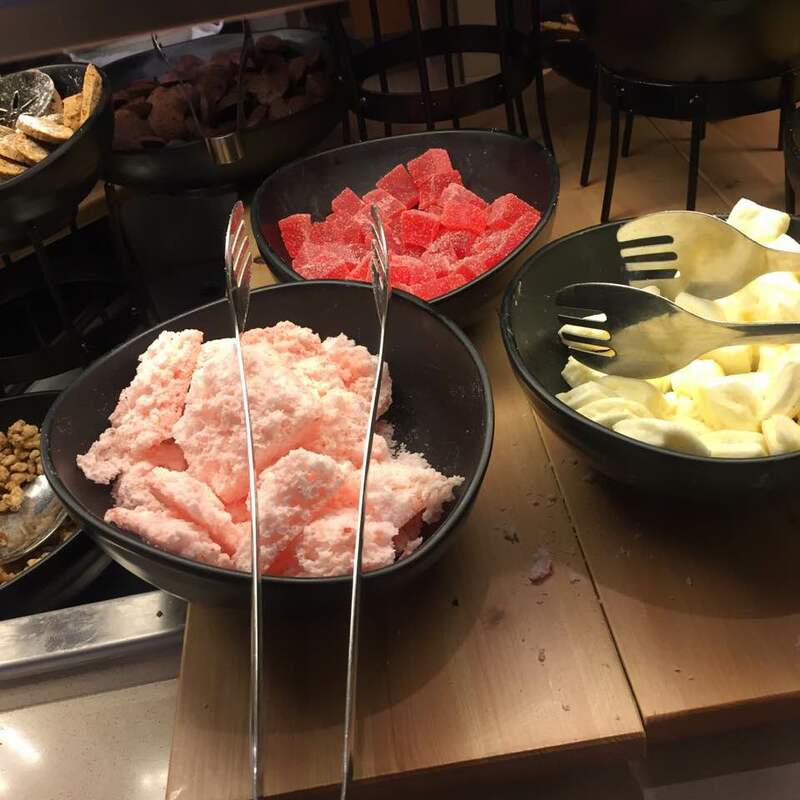 You wake up somewhere different most days, you have unlimited food and drinks, amazing entertainment and activities and one of the safest holidays there is probably still on offer in this world. I would 100% recommend Carnival cruises for a first cruise as it was probably one of the funnest ships I’ve been on so far! 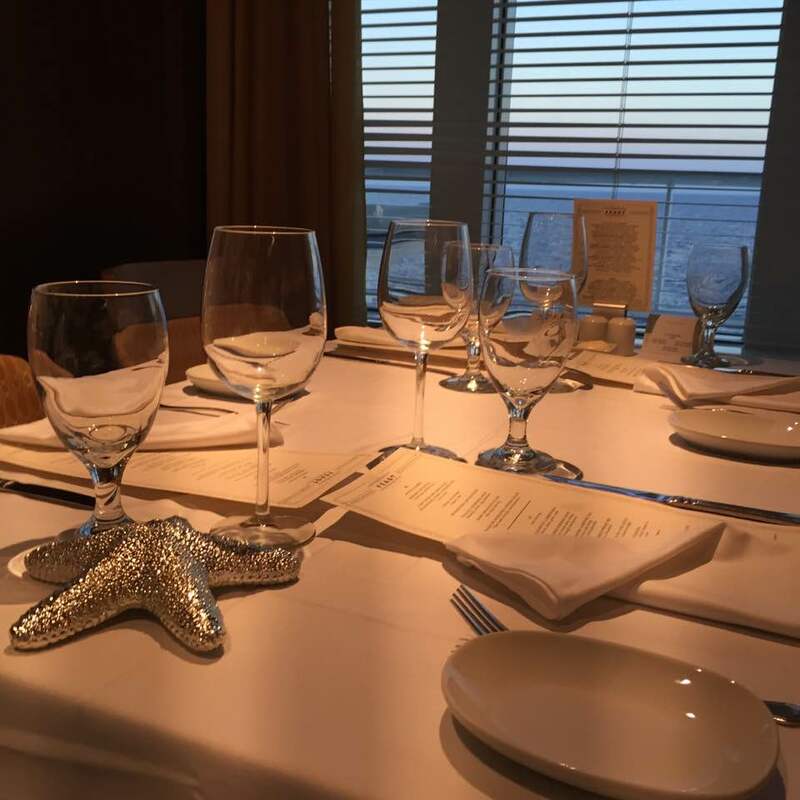 Have you been on a cruise before? Do you fancy going on a cruise?